While B2C companies have long realized the value of a sales-ready website design to encourage consumer engagement, B2B websites are lagging. Only recently have B2B companies started seeing the value in a website redesign to better suit their buyers’ needs. Unlike B2C consumers, it’s uncommon for B2B leads to make impulse buys. Let’s be realistic—it’s not likely someone is going to stumble onto a SaaS website, armed with only the information provided by content on the Internet, and make a large purchase via a shopping cart. B2B customers are making a greater investment and taking an increased risk, therefore they usually want to speak with a salesperson before they commit. But that doesn’t mean that a B2B website design should just be a static brochure. Even though the website might not be involved in the drafting of a contract or the physical exchange of money, it's still one of your best salespeople. It’s no secret that today’s buyer contacts a sales representative at a stage much further down the marketing funnel than they would have 10 years ago. This means the content on your website is doing a lot of the legwork that was previously done by your sales team. Instead of asking a salesperson what your product or service is all about, your buyer is looking through your website, reading your blog and downloading premium content offers. In his book, To Sell Is Human, Daniel Pink has called this phenomenon the age of information parity in sales. In this age, the consumer has as much, if not more, information about the product he or she is buying than the salesperson. This means the buyers of today are much more educated. Fortunately, if that education is taking place on your website, your company will be better positioned to establish brand preference at a very early stage of the buying process. It’s safe to say having an amazing B2B website design is more important than ever! 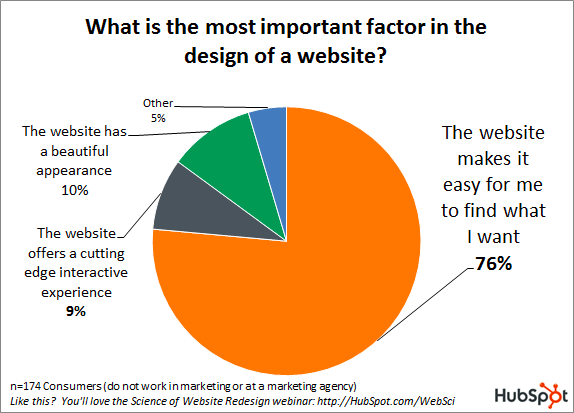 So What Does This Mean for Your B2B Website Redesign? Before you begin to think about your website’s design, it’s imperative to do some research to ensure you stay true to your buyer personas and map your content to their buyer's journey. Focus on meeting their needs and solving their pain points. Often the objective of B2B website design is to convert visitors into leads. 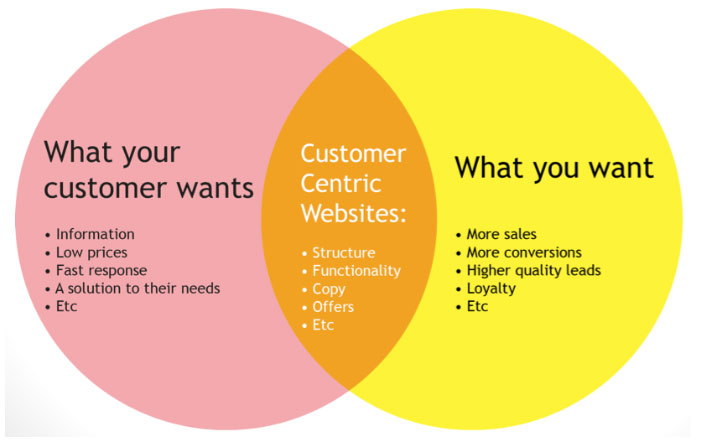 Aligning the wants and needs of your business with the wants and needs of your customer is a great way to ensure your website is accomplishing this goal. Every customer is different but, seventy-six percent of them say the most important factor in a website's design is ease of use and the ability to find the information they need. While every business has unique wants, they all seek more sales, higher conversion rates, higher quality leads and loyalty. And how does your B2B website design meet all these needs? With an easy-to-navigate structure, advanced functionality, dynamic content and content offers in alignment with your buyer personas. After you establish who you are as a brand and who you want to attract, you need to think about exactly what you want visitors to do when they get to your page. Research from the Nielsen Norman Group has shown that a mere 58 percent of B2B websites had successful user experiences. Do you want your visitors to check out your products? Would you prefer they visit your blog or download a premium content offer? Establish your goals and the anticipated conversion paths before you start designing your website. 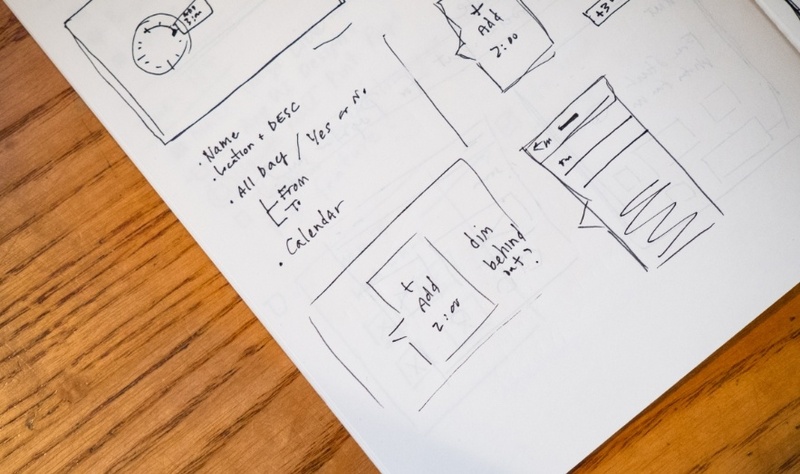 Laying out a wireframe for a website is the best way to define a visitor’s flow. It also helps the designer build the pages. In some cases, it might even make sense to conduct user-experience research on your wireframes. Even though it’s tempting to skip the foundational aspects of a website and jump right into design, we can assure you, wireframes are a critical initial step in creating an effective user experience. Think of your website as part of your sales strategy and use it to introduce buyers to the solution you provide for their pain points while explaining why your business is best at providing it. This doesn't mean you need to cram industry jargon onto every page. Use the same vocabulary that your buyer personas use in the solutions they're seeking. Don’t overload with information. Rather, state what your business offers simply and clearly. 1. Use heat maps to determine information placement: It's been shown that visitors use one of two distinct reading patterns when visiting websites. By tailoring your content placement and structure to these two patterns, you can be sure that the most important information is being conveyed clearly. 2. Minimalist design: "Minimalist (functionalist) design is used to create an uncluttered, easily navigable experience for the end-user through deliberate use of color, content and layout," says New Breed's senior designer and developer, Pete Emerson. 4. Use consistent calls to action: Ensure your CTAs across the site are using a consistent color and design. By doing this, your visitors will always understand where to look to take that next step and what elements on the page are clickable and which are not. 5. Highlight social engagement: Sharing and responding to your content not only encourages engagement, but it also boosts your page rank and increases your market reach. Include icons on your homepage for the social media networks you're active on, and also after each blog post, to make it easy for your readers to share on social. One of the most important pieces of building an effective user experience and building trust is presenting a consistent branding. Does your business have a style guide? Style guides touch on all aspects of your brand and establish a precedent for color management, images, fonts, logo use, voice and tone. Before you begin developing your website, writing your blog or even making social posts, it’s not a bad idea to establish a simple style guide. In today’s era of smartphones, your website is probably being viewed more frequently on a mobile device than on desktop. Taking that into consideration, it’s safe to say designing a website that utilizes responsive design is super important! Some content management systems (CMS), including HubSpot, have responsive design built-in, which means your website will automatically be optimized to best suit the device on which it's being viewed. This helps to ensure the website design doesn’t look cluttered or become difficult to navigate once it’s optimized for a mobile device. Make sure to test your website on different types of devices as well as different browsers before you launch to work out any kinks.